Cut the large tomatoes into slices, perhaps cut the cherry tomatoes in half. Arrange the tomatoes on a baking tray lined with baking paper, drizzle with oil and sprinkle with sugar and salt. Approx. 20 mins. in the upper half of an oven preheated to 220°C. Remove from the oven, allow to cool slightly. 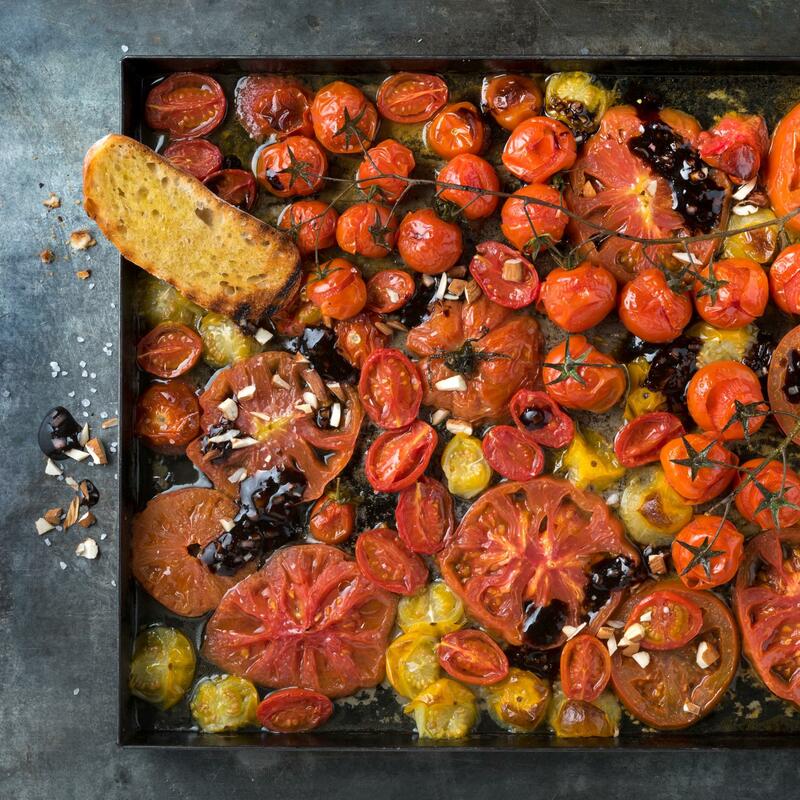 Combine the balsamic with all the other ingredients up to and including the pepper, drizzle over the warm tomatoes, sprinkle with the almonds.